Tony Watkins, 79, describes himself as (among other things) an urban designer, vernacular architect, marine planner, educator, owner-builder, author, revolutionary, peacenik (yes, the two can go together), environmental advocate, and “servant of Piglet the Great,” the legendary (and sadly missed) pig who lived beside Watkins’ home in Karaka Bay, at the mouth of Tāmaki Estuary. Tony has been advocating an earth-centred kaupapa for decades — both here and in international settings. He participated in many of the key United Nations environmental conferences. He helped get sustainability on to the political and economic agendas in this country. And lately he’s been pushing for adoption of another essential earth-centred principle: kaitiakitanga. Kennedy Warne took a walk around Point England with him to talk about what architecture can learn from te ao Māori. Earlier this year, Tony Watkins tried to get a motion passed at the AGM of the New Zealand Institute of Architects. The motion was this: That architects pledge to embrace the spirit of kaitiakitanga and commit themselves to act in a way that is tika and pono, respecting the mauri of the natural environment and the mana of other architects. Tony explained in a note to his fellow architects that “in simple terms it means moving from an anthropocentric view of the world to an earth-centred view.” If that seemed like a radical idea, it was only because “architects have been slowly drifting away from a love of the natural environment,” he said. The motion was not passed. It was a setback, but Tony isn’t deterred. He’s been advocating for kaitiakitanga as a core principle of governance and management for more than 35 years. It was largely through his efforts that kaitiakitanga was included in the Resource Management Act, when that defining and much-criticised piece of legislation was passed in 1991. He calls that achievement a turning point in his life — though how things turned out makes him wonder if the result was a net gain or a loss. He told me about it as we walked the clifftop path around Point England Reserve, soaking up winter sun on a stunning Auckland morning. “I remember arguing with the select committee that kaitiakitanga wasn’t the same thing as guardianship,” he said. This was in 1990. The bill was about to be drafted. “They said that if I could get my submission to Wellington by the following morning, it’d go into the bill.” Tony met the deadline, and the word was duly inserted into the act, where it remains today. Section 7 states: “In achieving the purpose of this Act, all persons exercising functions and powers under it, in relation to managing the use, development, and protection of natural and physical resources, shall have particular regard to . . . ” followed by a list of 10 matters, with kaitiakitanga the first item on the list. The definition employed the very word he was opposing: guardianship. Instead of expressing the spiritually rich, relationship-centred essence of kaitiakitanga, the legislation defaulted to the narrower Pākehā concept of guarding your assets. The definition undermined the intent. To Watkins it felt like a zero sum, an own goal. But why the fuss over a single word? Tony believed guardianship was too human-centred — too much about exercising power over the environment. It was against the grain of everything he and others in the emerging environmental movement had been advocating for 30 years: that without a partnership with the environment, humanity is doomed. “What kaitiakitanga is about is giving power away, whereas Western political structures are about taking and holding on to it,” he said. Guardianship asserts business as usual. For Tony, a key awakening had been the publication in 1962 of Rachel Carson’s Silent Spring, which documented the devastating effects of pesticides on the environment. Silent Spring caused a shift in public consciousness. It began to dawn on people that humanity was a global force with the potential to wreak permanent havoc on the planet. But, in a curious parallel with what would subsequently happen with kaitiakitanga, sustainability was co-opted by powerful economic interests. From being concerned with sustaining the life of the planet, it morphed into the idea of sustaining economic growth. The saving grace in the RMA wording — if there is one — could be the phrase “in accordance with tikanga Māori.” Which brings us back to the motion Tony was trying to get the Institute of Architects to adopt: tika, pono and aroha. Where did these ideas come from, I asked him. How had he even heard about kaitiakitanga? I was recalling the New Zealand Geographic special issue on Māoridom I edited in 1990 to mark the 150th anniversary of Te Tiriti. 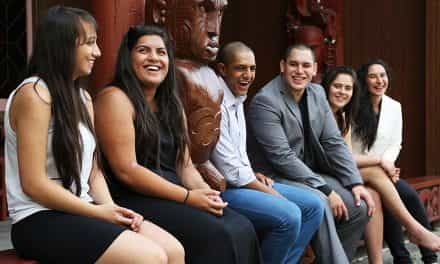 That issue aimed to give New Zealanders an insight into key Māori concepts of mana, tapu, te reo, tūrangawaewae and others. Kaitiakitanga wasn’t mentioned. Looking back, it seems an embarrassing omission. He told me he’d picked up on kaitiakitanga and other core values from time spent in the Hokianga, an area that has stayed strong in tradition and wairua. Some of what he learned came from the same person who was influential in my own path towards taha Māori: Pā Henare Tate. Pā Tate was a great champion of tika, pono and aroha as foundational principles of living. He gives an example. “What kaitiakitanga would say is that when you’re building something you must consider the water cycle. Not just the utilities involved in piping it in and draining it away, but integrating the building into the flow of water through the landscape, through our bodies, through our lives. Another way kaitiakitanga challenges Western design is the time horizon. The whakapapa timelines on which kaitiakitanga is built stretch back into the distant past and forward into the far future. Kaitiakitanga engages with both directions — it’s always conscious of the pathways of the ancestors, and always taking the “mokopuna’s mokopuna’s” perspective of the impact of decisions into the future. If kaitiakitanga is the destination, then tika and pono are how you get there. As Pā Tate explained it, tika is about getting the relationships between people, land and spiritual beings right. Pono consists of acting ethically and with integrity. Tika is doing the right thing, pono is doing it the right way. “Tika is what you end up with, and pono is how you get there,” is Tony’s thumbnail version. I’d been struck by the names of the streets we passed on our way to Point England: Dunkirk, Tobruk, Tripoli, Alamein — all names deeply embedded in the national psyche. I was also struck that there were many 1950s-era state houses on prime coastal real estate that I assumed would’ve long since been gobbled up by developers. “Those names reflect not just the war but society choices that were made after the war,” Tony said — for instance, the idea that working-class people should be able to enjoy living in proximity to water, and that that option shouldn’t only be available to the wealthy. Kaitiakitanga can’t be separated from whakapapa. This truth lays down a powerful challenge for developers and resource managers because it refutes the Western notion that landscapes and resources are inert objects — you can consume them, rearrange them, exchange one place for another. You wouldn’t manage human relationships like that, and whakapapa is about relationships. Whakapapa always brings history and story into resource management, says Tony. And true kaitiakitanga will always face and embrace that history. As if on cue, as we’re talking about whakapapa we’re walking on a path through flourishing nīkau, pōhutukawa, ngaio and other coastal natives around the Tāhuna Tōrea nature reserve. Tony wrapped his arms around the trunk of a nīkau. 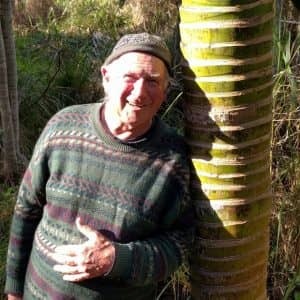 Thirty years ago, he was one of the community members who planted these trees. Everyone joined in, he said. Right-wing, left-wing, rich, poor, all in their gumboots volunteering to make the place a sanctuary for birds. 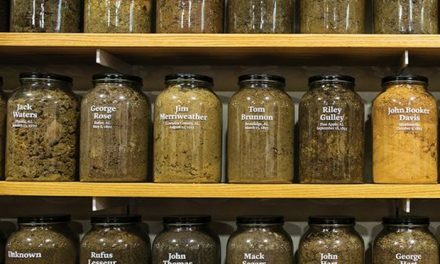 So what should kaitiakitanga look like in a place like this — with names and stories that speak of shared values and shared sacrifice? The question is relevant in light of a proposed residential development of part of the Point England reserve by Ngāti Pāoa. The proposal sparked angry debate earlier this year when the local community was made aware of the plans. Peace becomes an architectural issue because a lot of architecture is aggressive and about ego, Tony said. It takes as much as it can get away with: view, height, footprint, the surrounding resources. And it is about power — controlling everything that happens on or around the property. An architecture of peace, on the other hand, operates with sensitivity and respect to its surroundings. It is conscious of its local place and its global place — how it fits into the planet’s ecological limits and boundaries. Tony offered a modest example of architecture that is peace-driven. In some Arab cultures, he said, you can position the front door of your house anywhere you like, except opposite the front door of your neighbour across the street. You have to respect their privacy. You have to recognise the common good. Or to put it another way, you design with tika, pono and aroha. My DNA results are in. I’m whiter than the milkman. ae tika e hoa. Well articulated, transformationally motivating and an article that has timeless mauri into the ages. Thank you for sharing in the acknowledgement of Pa Henare and your heart. 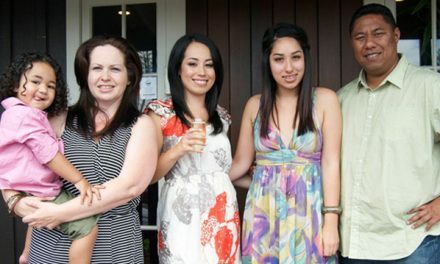 ae tika tonu, kia tika, pono & aroha.